This isn't a treatise on (Creme de) la Mer per se, just a quick explanation of the three different moisturising creams (there are, in addition, two moisturising lotions, I'm not discussing those here). I've been using CDLM since I was about 28, on-and-off, as finances (and experiments with other products) permitted, and it's the single brand I go back to, over and over, time and again. I really do genuinely find this stuff brilliant. A highly sceptical brother of mine asked me if it was worth the money, or just a scam. 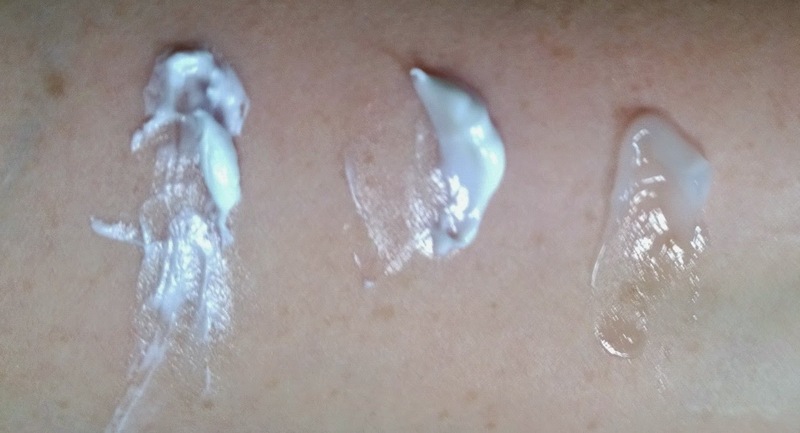 Well, to answer that I can point towards a personal experiment - one where I used CDLM body cream + concentrate on a scar, and one where I used another supposedly scar-reducing product on another scar, both scars caused at the same time. A year later, after religiously using both, the CDLM-treated scars were practically invisible, and lower than the still pink "other product treated" scars. In addition, when I don't use it for a while and go back to it, after two or three days my skin feels like silk and looks amazing; younger, glowing. I'm sold. I have reconciled that I'll always use a CDLM moisturiser and eye cream (serums, etc are another story). Essentially, these are all the same, do the same trick, but are designed for different skin types. More mature or dryer skins will benefit from the original cream. Oilier skin would benefit better from one of the lotions (will be reviewed later). The Soft Cream will work for normal skin and the Gel Cream for normal to slightly oily. I use them all, depending on the season really. In the winter, I'll always use the original moisturising cream. For the summer, I'll use either the Soft- or the Gel- Cream; either/or works fine for me. The lotions don't do anything for me really (the last time I used the CDLM lotion was a looooong time ago!). Aside from skin types, there's a small, minor difference between the original cream and the other two; it needs to be warmed up vigorously between your fingers until it almost turns into an oil, before then pressing it into your skin. The other two can be used as a normal moisturiser would. In all three cases, a tiny, tiny, miniscule amount is more than sufficient (think petit pois-sized). So although it's expensive, you use such a tiny amount, it lasts (a 30ml pot will last me practically a year, as point of reference).